Retailers are predicting a bleak year ahead, with many already reporting a bad Christmas this year. Meanwhile, online stores have been breaking all records. On Boxing Day there were almost 100m visits to online shops with shoppers spending a total of 13 million hours browsing; this is a 20% increase on last year. There is little doubt now that the online shopping world is a significant threat to the offline retailer. If you have a “real world” store you can almost certainly offset your losses by opening up online. But why is online shopping so popular? Well, there are the obvious reasons – convenience, deals, ability to compare more easily and so on. Yet there is a hidden reason as to why “real world” shops do badly compared with their online equivalents. 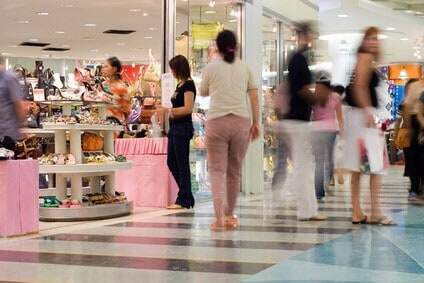 This is revealed in new research conducted at the Queensland University of Technology which shows that “accidental touching” leads to less time spent in real shops. It transpires that when we are in a real shop and we bump into someone, or they accidentally touch us when we are picking up items in the store, we effectively make our excuses and leave. This study is the first one to explore the notion that being touched by strangers affects our shopping behaviour and it reveals that we do not like it. When we get touched accidentally we reduce our shopping activity. Busy stores may look good for a High Street retailer, but they make people spend less. Online, of course, you do not have this impact. People can shop conveniently, often more cheaply AND they do not get bumped into by anyone else. The result is they spend more time in online shops and spend more money. If you are a retailer and you haven’t yet opened up online, this study shows you are really missing out. Indeed, whatever business you are in, the online shopping experience appears to have several advantages compared with traditional methods. If you are not selling online, you are reducing your sales income.